If you look very closely at this film, there's a message in it that reads: 'Lunar Industries rescue crews have your best intentions at heart. Please try not to panic until they arrive. Remain on-station and make sure you obey their instructions no matter how strange they may seem. After all, they're here to help! Thank you for helping us to help you'. Not sure what it means though? But maybe these guys will! 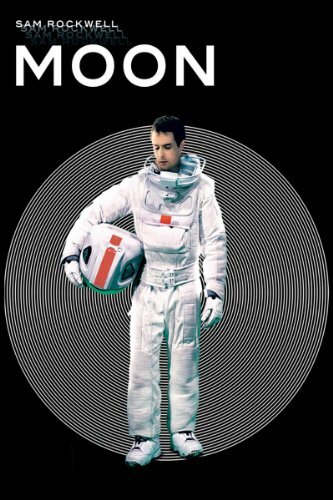 Director: Duncan Jones; and Actors: Sam Rockwell and Kevin Spacey. But only in 2009, and for about 97 minutes. Burning has hand on a hot cup of coffee. Viewing a video message from his estranged wife, Tess (Dominique McElligott). Crashing his moon-buggy into a chunk of space-debris. Discovering another version of himself once he eventually recovers from his previous injuries. Yes. That is correct, dear reader. The answer is 'D'. But wait a minute! Who is the real Sam Bell? Is it 'Damaged Sam'? Because he does seem a bit angry in retrospect! Or is it 'Discovered Sam'? Because he does look a bit bashed-up! Huh? What's that you say? You don't know? Yeah. Me neither. Thank Good GERTY knows the answer! And tell the Sam's what it is, in between them getting into a fight with one another, and them finding some more Sam's stockpiled in the storage chamber under their facility. Well, that's most probably why what next transpired commences when a Sam's got to do, what a Sam's got to do. As one Sam waists away - another Sam doesn't want to play - a familiar revelation is revealed - and when one Sam dies, the other one darts out of left-field. My nephew Stav told me that I should watch 'Moon' a couple of days ago. No. Not 'the moon', dear reader. This film. The one not suspended in the sky. 'I think you would like it, Uncle' he said. 'It's one of those weird ones that you always seem to go for' he continued. Obviously intrigued by Stav's comments, I wondered to myself why he called me 'Uncle' instead of 'Captain Mork From Ork' (Nanu-Nanu), before contemplating if I should watch this movie or not. Now to cut a long story short -- yes -- I did watch this flick. And yes -- my nephew was right too -- it is 'one of those weird ones I that always seem to go for' -- but not for the usual reasons. You see, in my eyes, this space story is about the true nature of existence, and what it means to 'just be', rather than living your live as normal. In many ways Sam's character represents us -- the audience -- reflecting what it must be like to survive in a sterile world far-far removed from our very own. Granted, there is an additional layer transpose upon this tale too. Relating to cloning, technological advancement, plus what it means to be directly involved with these two science fiction slanted subjects. 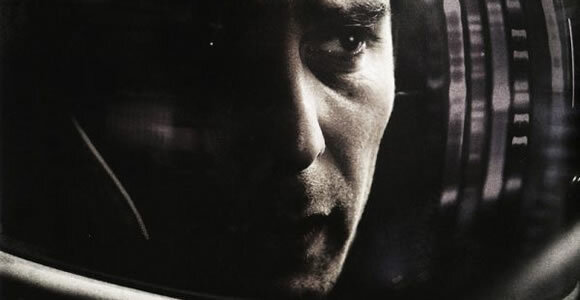 Furthermore, it does present a rather nice and docile take on one man and his robots claustrophobic life together. However, before I get to the actors in question, here's some filmic facts, folks. (1) 'Sony Pictures Classics' released this $5 million dollar production at the 'Sundance Film Festival' on the 23rd January, 2009, making back $9.7 million dollars at the box-office. 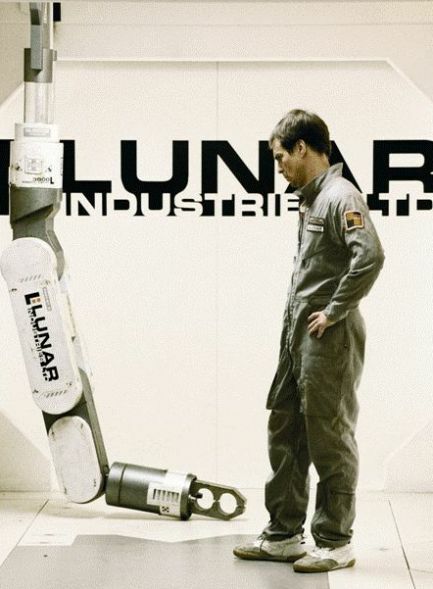 (2) Considering this was Duncan Jones directorial debut, he did a pretty decent job shooting it in a considerably shorter time-frame than anybody expected. It was thirty-three days in total, and eight of those days were reserved for the 'moon' scenes. (3) Kevin Spacey only agreed to provide the voice of GERTY, once the film was finished, and that he liked it. He did; and he did. (4) The name of the Lunar Space Station -- 'Sarang' -- means 'love' in Korean, 'peacock' in Sanskrit, and 'nest' in Malay. (5) There were several references in this film to Stanley Kubrick's space-opus, '2001: A Space Odyssey'. Like the music and choreography played during its opening sequence for example, plus GERTY's resemblance to HAL. 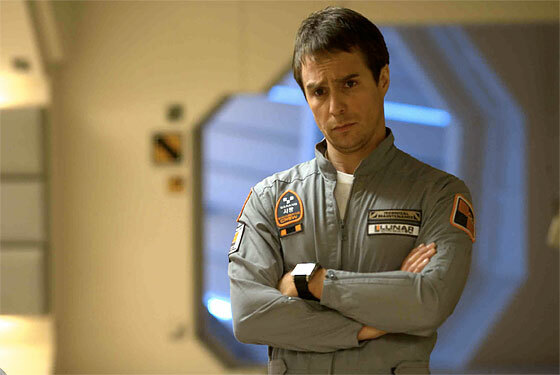 (6) In preparation for this film, Sam Rockwell was told to watch the films 'Midnight Cowboy' and 'Dead Ringers'. (7) I kid you not; the director of this movie, Duncan Jones, is the son of Ziggy Stardust himself, David Bowie. Moreover, one of the producers on this movie, Trudie Styler, is married to the singer, Sting, too. (8) Although no one wants to admit it, it's entirely possible that the concept behind this drama derived from Algis Budry's 1960's novella, 'Rogue Moon'. (9) This movie was bestowed with many-many prestigious awards and was nominated by the following institutes: BAFTA, British Independent Film, Chlotrudis, Fantastic'Arts, and Hugo. OK, so where was I? Oh, yeah! 'Moon'. Plus my own opinions about the two main actors starring in it -- Kevin Spacey and Sam Rockwell. Now where Kevin is concerned -- yeah -- he did rather good job actually. Channelling his inner HAL without being seen. As for Sam on the other hand -- he's Sam -- the rock hard actor who can play a multifaceted character like no man alive. Yeah. No word of a lie. Sam takes this film by its proverbial horns and run's with it until the cows come home. Whatever version of 'Bell' Rockwell is playing, you know nigh on straight away who it is, and what he's feeling inside himself. Moreover, when both Sam's are on screen together, or acting opposite himself off screen, he does it so convincingly, that you hardly want to play that game of 'which one is the double and which one is the real one'. Admittedly, there were one or two occasions that this was not the case -- particularly in the slower or more 'mundane scenes'. But by in large this melancholy adventure was a great melancholy adventure -- full of poignant future-bent messages, overlaid with a personal tale of one man trying to find out who he really is. Ha! In more ways that one. A class story. Which is a must watch for those fan's of 'the weird'.